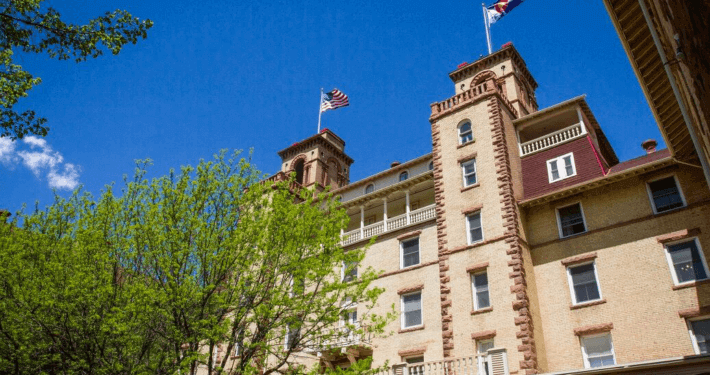 Find all you bucket list items in Glenwood Springs, Colorado! From Skydiving to adventure rafting, adrenaline junkies won’t have any down time when visiting the valley. See below for a 2-day adrenaline inducing itinerary. Next time someone tells you to jump off a cliff, tell them you already have. With launch times on the hour at 7, 8, 9, and 10 a.m., kick off your two-day adventure itinerary with an early morning tandem paragliding flight that takes off from the top of Red Mountain. The first step is a doozy, but as you sail over Glenwood Springs and the Roaring Fork River, you’ll ride the air currents just like the raptors that patrol the river corridor, then gently touch down in an open meadow. Hang on for a wild ride as you navigate tumultuous whitewater in Glenwood Canyon known as the Shoshone rapids. A run down Shoshone will take you through Class III and IV rapids with names like Baptism, Tuttle’s Tumble, the Wall, Tombstone, and Man-Eater. Run them once or book a “Double Shoshone,” a Glenwood Springs rafting trip that gives you another shot to run the narrow channel. If you opt for a repeat, chances are your raft guide will consider you experienced enough to take you on a more challenging line the second time round. Glenwood Caverns Adventure Park has some of the scariest thrill rides in the country—the Giant Canyon Swing and the Haunted Mine Drop are two. These rides are not for the faint of heart. The Giant Canyon Swing launches riders out over Glenwood Canyon 1,300 ft. above the Colorado River at speeds up to 50 mph. The Haunted Mine Drop is the Park’s newest adrenaline-pumping attraction, dropping riders 110 feet in 3 seconds into the dark belly of Iron Mountain. The only question is, will you dare to drop? The Park’s other scream-worthy rides include the Cliffhanger Roller Coaster, the Soaring Eagle Zip Ride, and the Alpine Coaster. If your bucket list includes jumping out of a perfectly good airplane, there’s no time like the present to take that flying leap, safely of course. The pros at Roaring Fork Skydiving will provide everything you need for your tandem jump. As your body freefalls to earth, you’ll reach speeds of up to 120 mph, for about 30 seconds. After that, your pilot will deploy the chute for a gentle, scenic glide back to terra firma. It’s during this hang-time you can appreciate unimpeded Colorado views that include the Continental Divide, Maroon Bells, Aspen, and Glenwood Springs. Ready, set, and out the door you go! What are you waiting for? Equipped with a helmet and harness, all you have to do is just step off the platform and let gravity do the work. Easier said than done, but once you muster the courage, you’ll be glad you gave ziplining in Glenwood Springs a try. You’ll speed across the Colorado River in Glenwood Canyon, not once, but twice on a 350-foot-long cable. Another option for ziplining is the Soaring Eagle Zip Ride at Glenwood Caverns Adventure Park, a seated version that sends riders flying down Iron Mountain. Glenwood’s High Ropes Course is yet another opportunity to get your blood pumping and face your fears. In a safe environment, you’ll be challenged physically and mentally. The course requires you to negotiate multiple obstacles and elements like a suspended beam, wobbly bridge, two-line bridge, multivine, cargo net, and more.